For Watchuseek, I just finished this article on 50 years of Sinn Spezialuhren. A German brand with a focus on functionality and technology, celebrating their 50th anniversary this year with a special pilot’s chronograph Model 358. Personally, I have a weak spot for Sinn watches. Not only their price – quality ratio is magnificent, I also like the link between their Sinn 142 (based on the Sinn 140) and the space program. I used to own a Sinn 142.St.S (black model) but unfortunately sold it a few years ago. You can read more about this particular model here, here and here. Another great ‘cult’ Sinn is the EZM1, which was reviewed for Fratellowatches by Bas van Dorp. Click here. 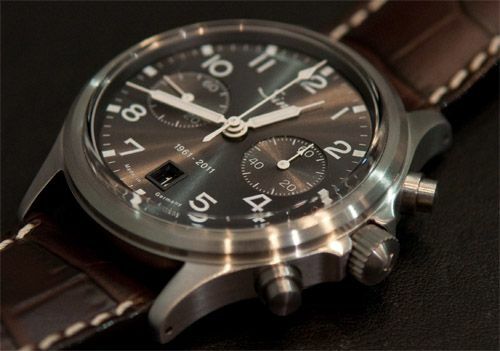 Anyway, make sure to check my latest article on Sinn Spezialuhren at Watchuseek.